Is It Wise To Attempt A Home Remodel Without a Designer? A while back, a reader named Sarah (No, not this Sara, or this Sarah.) sent some photos in of a little home remodeling project. This was after she asked me if it was sacrilege to paint pine paneling. You can read about painting wood paneling here. I loved what Sarah did to the small den/office/playroom. And so, shared that in one of my favorite posts about home makeovers; along with Nancy Keyes’ fabulous kitchen and the smashing exterior of her former home in Atlanta. That’s the one that set Pinterest ablaze with repins! Well, about ten days ago, Sarah contacted me again because she had done an extensive home remodel. You have given us as readers such fabulous advice and been so kind to respond to some of my inquiries, as well. In light of your most recent post, I thought I should finally share some before and afters that utilize some of your exquisite Benjamin Moore paint color selections. By the way, I have bought both Laurel’s Rolodex and your blogging guide. I think it is high time I invest in your paint/palette guide! Thank you again and again for all you give to us. On a side note, I have been slowly getting myself in gear to get my blog up and running. The advice in your blogging guide is incredible, not to mention inspirational. If you got through an entire home renovation with three little ankle-biters, then you’re way ahead of a lot of people! Just had to get that out. I think a lot of us, myself included expect more of ourselves than is possible. Below is a screen-shot of what Sarah sent me in her first email. But, then I looked a little further and saw more thumbnails and realized that THESE above are the BEFORE PICS! Further down the page, I then saw the gorgeous after shots, but they too were way too small to publish. And by the way, when I say what she did. Sarah did not have an interior designer helping her! Fortunately, we have the same I-phone and so I was able to share some photo tips. She sent me a lot of photos and by the last bunch, they were beautiful, sharp and straight. I’m only mentioning it in this case, because Sarah wants to be a blogger, so for all of you blogger-wannabees, it is imperative that you have good photography skills. And photo editing, too. It is not difficult to learn; it just takes practice. And, if you’re interested in learning everything I know, please look into my new blogging guide. I hear that it’s already changing lives! Blogging has sure changed mine! First, let’s look at this home remodel from the outside. The house color changed from a darkish blue-gray to a soft white. The soft white is one of the Laurel Home Essential Paint Colors Swiss Coffee. You can see another home painted Swiss Coffee here. Here, we can see that a lot more happened to the exterior than just paint. And after. Wow! How lovely. For more gorgeous exterior paint colors, click here. In case you’re wondering. Sarah lives in Minnesota. That explains why she’s so nice! People in the midwest are usually very nice. I notice that every time I visit Wisconsin. Or maybe it’s just that people in New York are largely assholes? That’s probably it. And a view of the new portico. 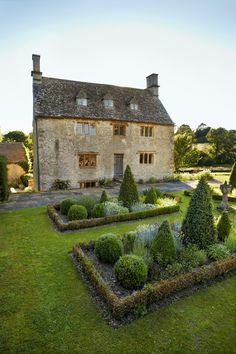 Many beautiful and classical details for this traditional-style home. Love the black doors! OH! Another important thing that bloggers need to learn is the art of stalking. Fine. Be a fuddy-duddy and call it detective-work. Research. While Sarah gave me some great shots, I found stalked her instagram. The photo above is from Sarah’s instagram. (she gave me permission to share her page) You can see more pics of her home and her darling family too. Please follow her. The beautiful front door area. Very gracious entrance. Me like. For more great front doors, click here. And another looking into the eating area into the dining room. This is a very nice house but some of the elements are a little dated. Also, while this is a common situation, I’m not totally fond of the kitchen eating area adjacent to the formal dining room. It’s like: Should we eat here, or should we walk another 8 feet and eat here? Again, it’s very common and sometimes unavoidable, so if you have this configuration, don’t feel badly. However, in this reno, I believe they got rid of it. I don’t have enough images to fully understand what changed and what stayed the same. This is my kitchen renovation. You had mentioned that you had used White Dove in your Bronxville kitchen renovation and that looked gorgeous so I went with that for my white kitchen cabinets. It also ties in with the “kids office” above, which was previously honey brown wood paneling and is painted Benjamin Moore White Dove. I’m sure that you also recognize the Morris Chandelier from Visual Comfort. The island and butlers pantry cabinets are Benjamin Moore Deep Royal. Another one of your favorite colors. The walls are Classic Grey. Another favorite! THREE of your favorite Benjamin Moore paint colors. I also painted the ceiling in our living room Quiet Moments. Another one!! Do you need any more convincing for people that your color selections are on point! I also included the dining room because it includes a Visual Comfort chandelier that you previously posted about – and I am SO in love with my wallpaper. Oh, and yes, that’s a Federal mirror that I saw after you did this post. By the time Sarah had sent me several emails with images, she was getting VERY good at taking them! In fact, I prefer many of them to the pro shots. While easy on the eyes, I feel that some of the pro shots look too flat and artificial. Plus they are over-exposed in an unnatural way. Something in between, would be my perfect interior photo. Gorgeous shot of the mudroom that Sarah took. I’m putting this one on Pinterest pronto! Shot of the den off the kitchen where the family gathers to watch TV. The upholstered furniture is from Lee Industries. Love this space. Love the interior window and the composition with the square prints beneath it. This window makes sense and is done right. These, windows, I don’t think so. This is funny, but I did something similar in our basement 20 years ago! The rug looks super durable. I’m not sure what it is. It looks like jute from here. And before someone pipes up and complains that the chairs are too big. No, the space is a little too small. But that can’t be helped and sometimes one just has to work with what they have and that is when the rules get thrown out. I love the chairs and this area is all about hanging out and watching TV. So, no biggie about the overlap. This is Lola the darling golden retriever in some of the previous pics. Great bed! Awww… Why the punim? Did you lose your bone or something? The Powder room off the kitchen with Schumacher’s Citrus Garden which you can see in this post. Gorgeous. Powder rooms are a great place to do something you might not do in a larger space. And I love how this looks from the kitchen when the door’s open. This is the medium Gramercy Chandelier which you can see here. Well, thank you so much Sara and Lola for inviting us to enjoy your fabulous young family home. You did a wonderful job with the home remodel. And, the furnishing and decoration, too. I think that it’s perfect. I wish you and your darling family many years of happy, healthy moments, meals, holidays, birthdays, etc. One day, if you’re like me, you will cherish those memories; even the greasy sloppy ones. Can You Get Away With A Partial Kitchen Remodel? The fabric is Lee Industries Flagler Blue. Unfortunately, it looks like it is retired. Below is the link to the fabric. It might be worth a call to see if there is enough available for what you are looking to have upholstered. I ordered my chairs a little over a year ago. I thinking I redoing the linen white that’s there now to Simple White on walls and trim. My painter says White Dove would be best combination. Love when you said it’s not brain surgery. I tried it all out and it all looks the same. This homeowner is very talented… and your guiding advice is spot on. I do have to add, being an interior designer myself (42 years, holly crap! ), not a good idea to have everyone think they do not need a designer! DIY projects as you know can go sideways quickly. Hey I did not hire a designer either. I did a custom build and it was just me and Laurel’s blog! 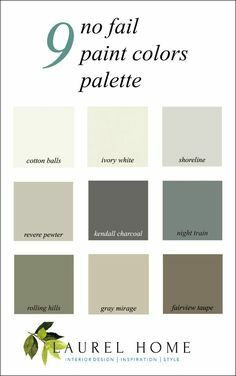 My paint colors, paying attention to the trim and architectural details all from her blog. Her blog is like a Wonderful design encyclopedia. If I needed some information I just went to the little search bar and plugged it in! And two, you really got the most important element that I harp on stress. And that is– the architectural elements. Without, that in place, nothing else is going to look as good. Oh, that would have to be a course because it’s a LOT of moving parts. And I don’t know if I’m up for creating a new product. In fact, I know that I’m not because I’m doing a big over-haul on the ol’ site. Not saying never; just not right now. But, my good friend Linda Holt does coaching. Here’s a link to her services. Laurel, you hit it out of the park once again. this house looks a ton better, and Sarah did a great job putting what she learned from you into the interiors. I have read through your blogging guide, and it’s actually open to pg.146 right now! Got a tip from a guy about building a new Wp.org site, and I’m doing it myself…Imagine that! I probably see this as easier than paying someone $2400 to migrate parts of my site and build it out since I used to have WP.com, before being moved to Squarespace. Needed to make the change to be able to also have my opt-in, and other things. I do happen to know that she used Calacatta Gold which she told me she used because she had read about it here! That marble is particularly expensive, but for a similar look in marble, I would check out Carrara Bianco. I am just reading all of these kind comments now. Laurel – it is no wonder you have the nicest followers. Your guidance is beyond measure. Okay.. to the question about the walnut countertop. Ours is coated in a varnish so it is more like a piece of furniture rather than butcher block. I could have chosen a finish that is more matte but only needs to be treated with an oil to buff out a scratch, etc. In some ways I wish I had done that since it would be much more forgiving. However, I wanted the luster of varnish. I love it but I have to baby it a bit – no cutting directly on it and I have to be careful that it isn’t scrubbed with anything abrasive. I would consider having your countertop sanded and then having it stained with an oil that can be reapplied as needed. I read a lot about tongue oil and believe that is a very traditional way of treating wood countertops. It likely would only need a light sanding and a reapplication of oil on a dry cloth for any scratches or burns in the future. I think she has design sense, just not mine. They lean a bit contemporary in the showroom. Beautiful, just too formal/sterile for me. I give her credit because she did not argue with me at all. She did say that if I wanted something that was just plain wrong she would let me know. But, with Laurel in my back pocket I didn’t pick anything wrong because I had seen most of it on your hot sale pages,and I have your room examples too. On another side note. I painted the entire house cotton balls (I have your paint guide) and I love it (north facing living/dining) So fresh and calming to me. Not too stark at all. Lighting is really everything, IMO. And the problem is, that in some rooms, particularly east and west, it changes a LOT during the day, time of year, sunny, cloudy and then there’s darkness. Sometimes a color will look good next to another in some lights and not others. I have a client whose dining room is on here with the white drapes and black Greek key trim The dining room is cotton balls and so is the living room with a wide hall separating them. But when you stand in the dining room and look across the hall at the living room, it looks like a completely different color! …and, yes, I will happily follow Sarah on Instagram. Hi Laurel, loved the blog. Sarah has done a wonderful job on her house. We had our kitchen cabinet repainted to white dove too. Ours look creamier…. the light I guess as the room faces south, but doesn’t have a lot of windows. The kitchen is lovely, and I especially love the row of small framed pictures under the double window in your TV room. What incredible before and afters! I love that cabinetry painted in Deep Royal. I’ve actually never used that blue, Hale Navy is one of my favourite go-tos. I discovered that color at the Dunes and Duchess booth one month before the Essential color guide portion came out. The second I got home, I went in and exchanged it. I was going to do Hale Navy which is also a great color. But when I saw their booth, I was so captivated by the beauty of Deep Royal and that it read as a true navy– even with the warm lights on. I think that I linked to the post where I showed it at their booth. It made for a gorgeous backdrop for their colorful furnishings. Thank you for sharing Sarah’s beautiful home. She did an amazing job! I couldn’t help but zero in on the brick floor in her mud room. 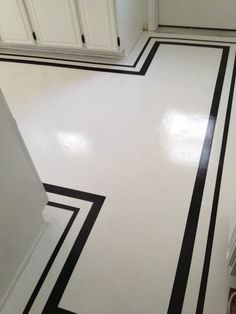 I’m currently getting estimates for a floor like that in my own mud room. I am also impressed with her lighting choices. They are the perfect scale & style for her home. So sorry that your experience with a designer was not a good one. A good designer never argues with their client. This isn’t to say that I always agreed with mine, but 99 times out of 100, if they didn’t like something, out it went. What’s the 1%? They decided that they did like something, after-all. If they had an idea that I truly though was a mistake, I’d explain why I thought it wasn’t the best solution and then they understood.